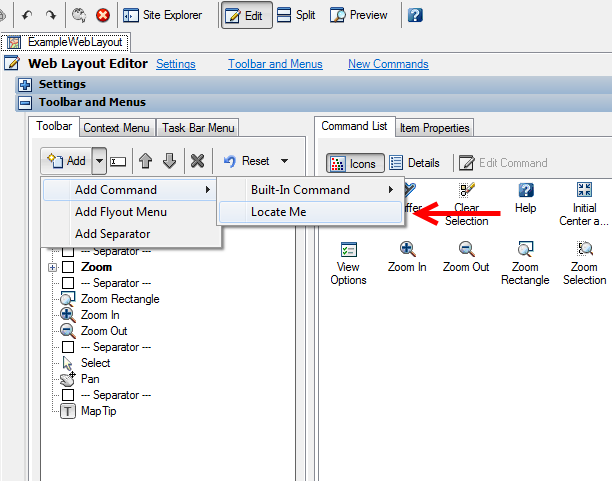 A custom command button can be added to the MapGuide map toolbar on a per-Web Layout basis via Autodesk Infrastructure Studio. 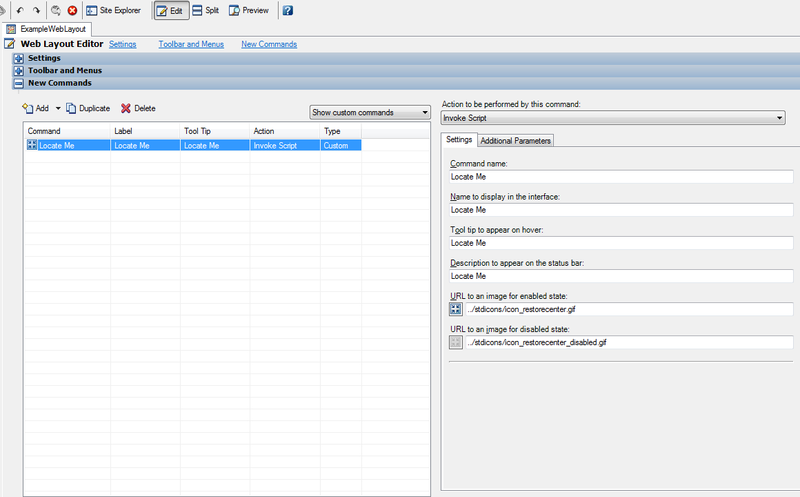 First, open the Web Layout editor for the map to which you want to add the button. 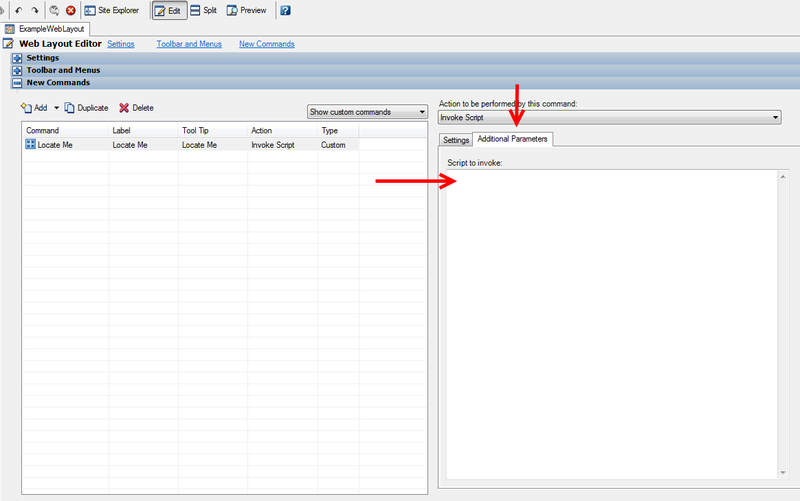 Then, under "New Commands" select the "Add -> Invoke Script" function (make sure that the viewer mode is set to "Edit"). This will add a new, blank command called "Invoke Script" to the New Commands listing. The images can be found here or something along those lines. They can be found by looking in IIS at the mapserver folder and look at the stdicons virtual directory. 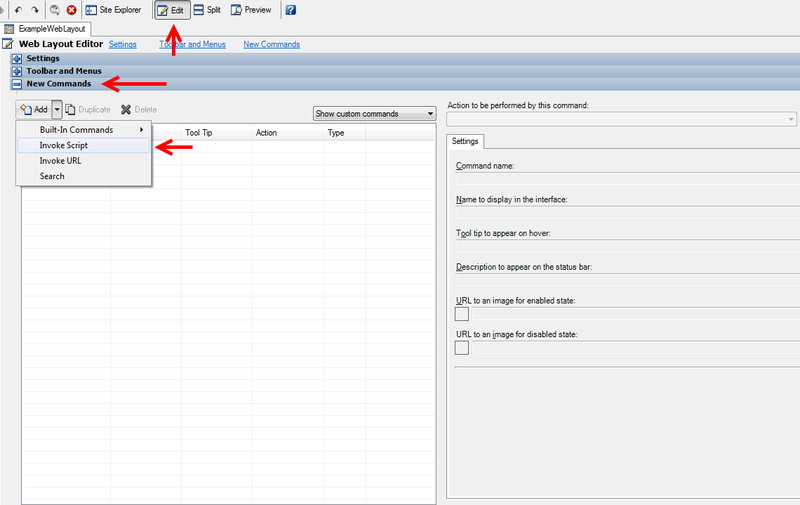 You may also wish to add a Separator before and/or after this toolbar button. Note that you can move the buttons up and down the list via the arrows.